In order to properly maintain a bowling alley, the lanes must be regularly oiled. This is why you should never step past the foul line. And if left unchecked, this lane oils is also one of the biggest threats to your bowling ball. After each shot, you may see a ring of oil on your ball, also called an “oil track.” This oil build up can affect the way your ball moves down the lane and make it harder to properly hook. But even worse is that your bowling ball can also absorb the oil causing damage to the ball. This is why you should wipe your ball down during play with a microfiber cloth. Make sure your cloth is microfiber so that you’re not adding scratches to your ball surface. Different types of bowling ball materials are affected differently by oil. Hard plastic balls are most resistance to oil as they are not very absorbent, but higher end materials such as reactive resin or pearl overstock are actually quite absorbent and require much more frequently cleanings. Generally it is recommended that these high end balls be cleaned every 6 or so games. We recommend commercial ball cleaning supplies, but some people prefer to soak their ball in water and dish soap. If you do decide to soak your ball, make sure not to get any water in the finger holes as water can greatly damage your ball’s core. 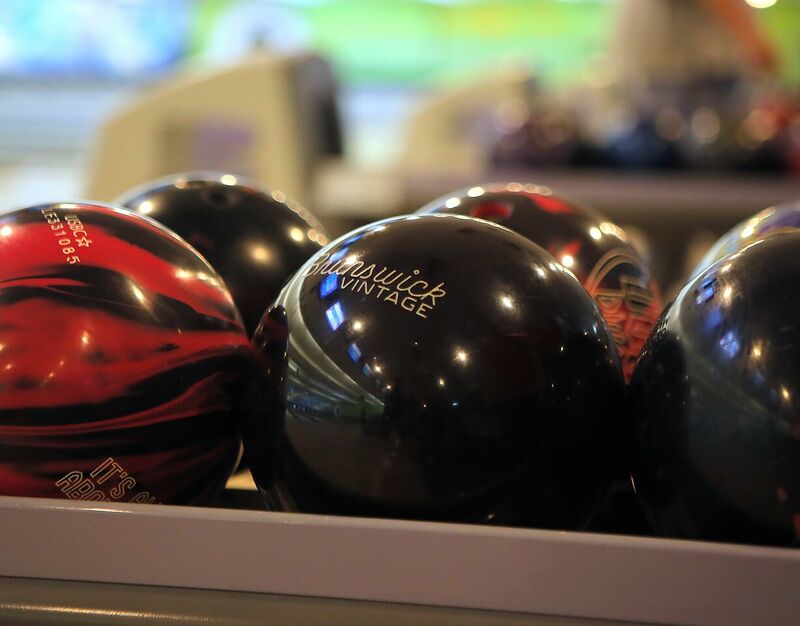 To extend the life of your bowling ball, we recommend professional cleanings. Visit our pro shop for cleaning tips, cleaning schedules, and professional cleaning services. Ready to bowl? Check out our Staten Island bowling league and upcoming bowling tournaments, then make your plans to visit our Staten Island bowling alley. 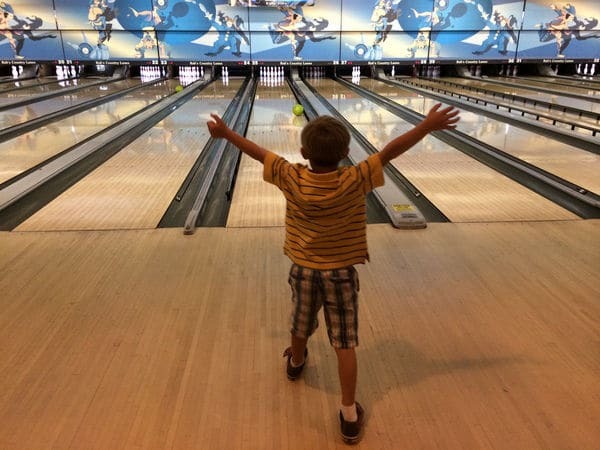 Bowling is a fun activity for the whole family, including little ones! If you’re interested in teaching your child to bowl, here are our best tips to teach children to bowl to get you started. Bowl early, bowl often. Kids can learn to bowl as young as 3 years old, but all kids are different and you should take your child’s motor skills and development into consideration. Your child will need to be able to lift a 6 lb bowling ball. Our bowling shoe rentals range from a toddler size 5 all the way to a men’s 20! Gear up. Here at Rab’s, we love sharing the fun of bowling with local families, and we make it easy and fun to bowl with your kids. 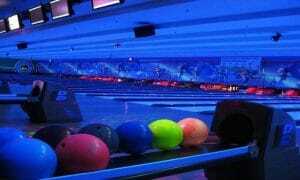 Bumpers are available on all 48 of our bowling lanes for kids 12 and under. They go up for the kids and down for the adults, so the whole family can enjoy an age-appropriate challenge. We also offer dragon bowling ramps, which are great for kids up to 5 years old. These sturdy plastic ramps allow little bowlers to get the thrill of knocking down pins without lifting a heavy ball. Start with the basics. First up, safety! Make sure they know NOT to step onto the lane, which is slippery and can result in a tumble. For little kids, start them off holding the ball with two hands. Once they have two-handed bowling down, teach them how to hold the ball one-handed. It can be helpful to hold their hands on the ball and guide them in releasing, until they have learned the proper motion well enough to do it on their own. Want more tips for teaching your kids to bowl? Check out this great Fatherly article featuring expertise from a Hall of Fame bowler! 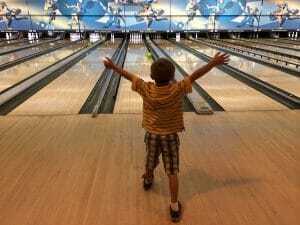 Quit putting off taking your child bowling and get them to the lanes! 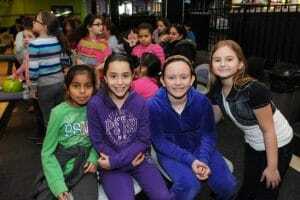 Check out our upcoming Staten Island events and make plans to bring your kids out for a little Staten Island bowling. If you want to be a great bowler, then you have to talk the talk! Do you know the meaning of all of these common bowling terms? 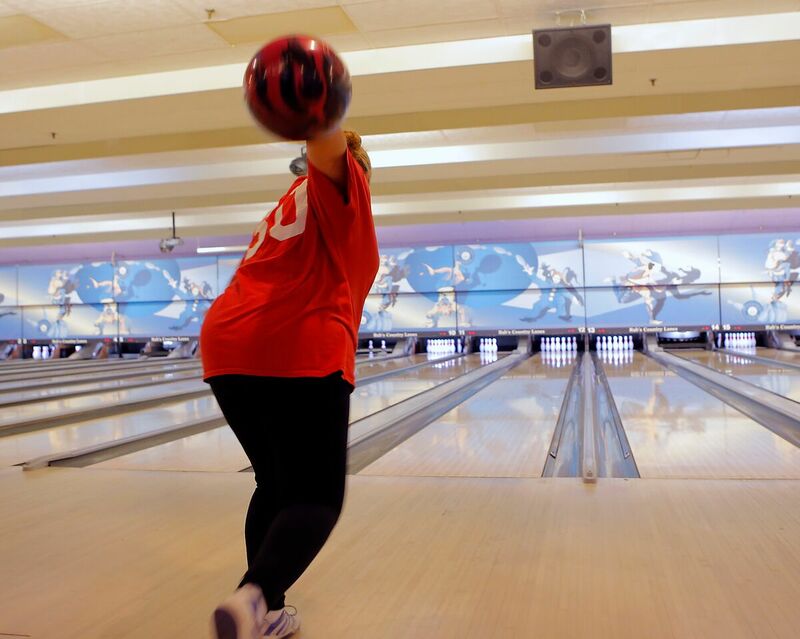 Check out our list and sound like a pro next time you bowl! Picket Fence – These are spares consisting of the 1-2-4-7 or the 1-3-6-10 pins. Punch Out – A punch out is when a bowler finishes a game with any number of consecutive strikes. Scratch – In tournaments, scratch is the actual score a bowler earns before the handicap is tallied. Six Pack – As the name implies, this is simply 6 strikes in a row. Sleeper – Sleeper pins sit behind other pins, making them hard to see. For example, look at the 2-8 and 1-5 pins. Span – This is the distance between the finger and thumb holes on a bowling ball. Spot Bowling – This is a bowling method which utilizes the dots and arrows on the lane rather than the pins. In spot bowling, you keep your eye on the spots instead of the pins during a throw. Tap – Have you ever thrown a “perfect throw” but one pin was still standing for seemingly no reason? That’s a tap. Turkey – 3 strikes in a row is a turkey. Vacancy – This is often used in league play. This is a standard score used when one team has fewer bowlers than the other. Essentially, it’s the “score” of the “missing” bowler. Now that you know the lingo, come practice it at our amazing Staten Island bowling alley! Check out our upcoming Staten Island events and Staten Island bowling tournaments and make your plans to visit today. Tips to Make Your Next Corporate Event a Hit! Check out these tips for planning a corporate event for everything from help picking a venue and theme right down to the nitty-gritty details like calendar invites. What are the Benefits of a Corporate Event? A good corporate event is not only great for team morale, but it also helps employees feel like part of a family. Doing fun activities together improves communication and camaraderie, which in turn helps teams be more productive. Thinking Ahead – Make sure to check the calendar and choose a date for your corporate event that doesn’t fall on or near a holiday (as people will be more likely to be out of the office around holidays and long weekends). You also need to make sure the date doesn’t conflict with other important dates like big meetings or major deadlines. Keep the cadence of your business in mind and avoid a date that falls in the midst of a busy time like during order season or close to tax deadlines. The Right Theme and Venue – Don’t try to force people into having fun or talking. 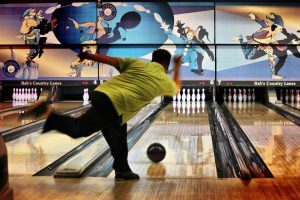 Instead, just pick an activity that is fun and engaging like bowling. Bowling is great for people of all ages and abilities. It also gives people plenty of opportunity to chat and mingle. Communicate – Make sure everyone is on the same page by creating a calendar invitation with all the details including the address, location, parking info, and what to wear and bring. Rab’s Country Lanes is the perfect Staten Island corporate event venue. Contact us at 718-979-1600 for more info or book your Staten Island corporate event now! Jacques Marchais Museum of Tibetan Art – The Museum of Tibetan Art offers visitors a look at Tibetan and Himalayan art and ritual objects, as well as various exhibitions on Tibetan and Himalayan culture. They also offer tai chi and meditation classes, special performance, lectures, and films. Staten Island Museum – This amazing local museum has an impressive art collection (featuring works from both local and internationally famous artists), an exciting natural science collection (including fossils, zoological, and botanical samples), and a historical archive. Catch a show at St George Theater – This magnificent theater is nearly 100 years old and today offers live musical and theatrical performances, as well as an exciting movie series. Flagship Brewery – Ward off the cold weather with a pint at Flagship Brewery! Their tasting room features 8 different beers and their fun brewery tours are held Saturday afternoon at 2:30 and 4:00 p.m.
Rab’s Country Lanes – Come enjoy a few games of bowling at Rab’s Country Lanes! In addition to traditional bowling, we also offer bowling leagues, cosmic bowling, and lots of other attractions including our Laser Maze Challenge! So don’t let the winter weather get you down! Escape the cold and have some Staten Island indoor fun at Rab’s Country Lanes! Check out our exciting upcoming Staten Island events and make your plans to visit today. Bowling is not just a fun activity to do with friends or family – it is also a beloved American pastime enshrined in cinema and television! 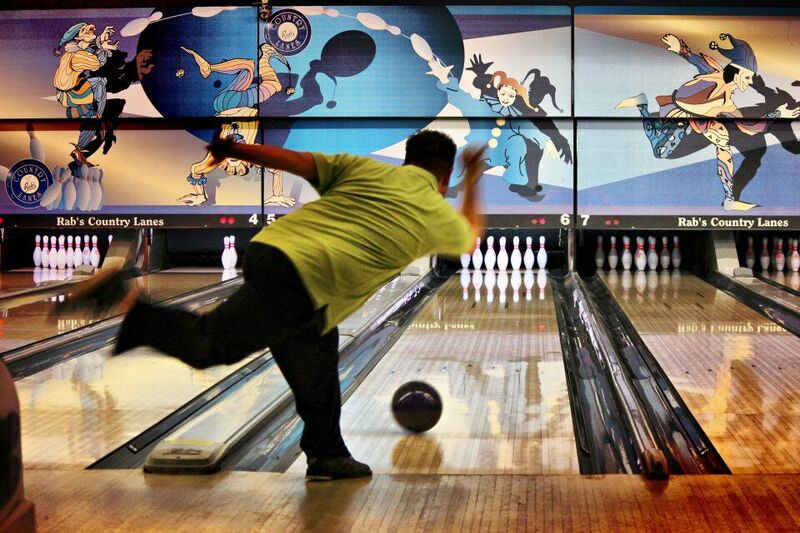 Check out some of our favorite, fun bowling scenes below – how many have you seen before? In this classic Simpsons episode, Homer and his friends join a bowling league as the “Pin Pals!” But when the devilish Mr. Burns joins the team, he threatens to ruin Homer’s fun (and the Pin Pals’ chances at winning). Of course, even after the Pin Pals do win, Mr. Burns still manages to ruin it for Homer. We had to save the best for last! There are so many great bowling scenes in this movie, but the most iconic has to be the musical number featuring Jeff Bridges’ “The Dude” and Julianne Moore’s “Maude” dancing to the Kenny Rogers hit “Just Dropped In (To See What Condition My Condition Was In)!” Of course, the opening credits are pretty great, too. We love how the camera shows off all the classic bowling alley components like the pin-deck, ball return, and beautiful wooden lanes. Fans of the film will be excited to learn that there’s a spin-off in the works. Going Places will feature John Turturro as Jesus Quintana in a crime comedy that’s sure to be as hilarious as its predecessor. And when you’re ready to bowl for yourself, make plans to visit our Staten Island bowling alley! And don’t forget to check out our upcoming Staten Island events! It is that time of year again– it’s time to make your New Year’s resolutions! But what should you decide to work on this year? Well, since no one has ever said “Gee I wish I had spent more time at the office,” we suggest making it a point to spend more time with family and friends in 2019. Book a party to celebrate a special occasion – One of the most important times to be there for friends and family is during special occasions. And our Staten Island bowling alley is the perfect party venue. Whether you’re planning a child’s birthday party, a fun office party, an adult party, or just a get-together with a church or social group, we’ve got you covered! Make time for fun on normal days too – You don’t have to wait for a special occasion to make time for quality time with your friends or family. Start the new year off right by planning a family fun night, weekly bowling meetup for your friend group, or join a Staten Island bowling league together. Feel like a kid again – Spending time with loved one isn’t just about them– it’s about you too! Take the time to unwind and do something fun that you used to enjoy when you were younger. We wish you all the best in 2019 and hope you’ll come see us for bowling, a run at our laser maze, or to share a drink with friends. And don’t forget to follow us on Facebook for all the latest updates and info on our upcoming Staten Island events. 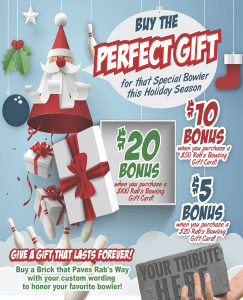 Ball – Of course a bowling ball would make the list of great gift ideas for bowlers, but which one should you get? The Brunswick TZone Indigo Swirl makes for a inexpensive second ball (or first ball for a less seasoned bowler). If you’re budget is a little higher, then check out the Storm Mix. Ball Bag – If your bowler is already set with their ball, then consider a quality bowling ball bag. Gift Card – Pay now, play later! 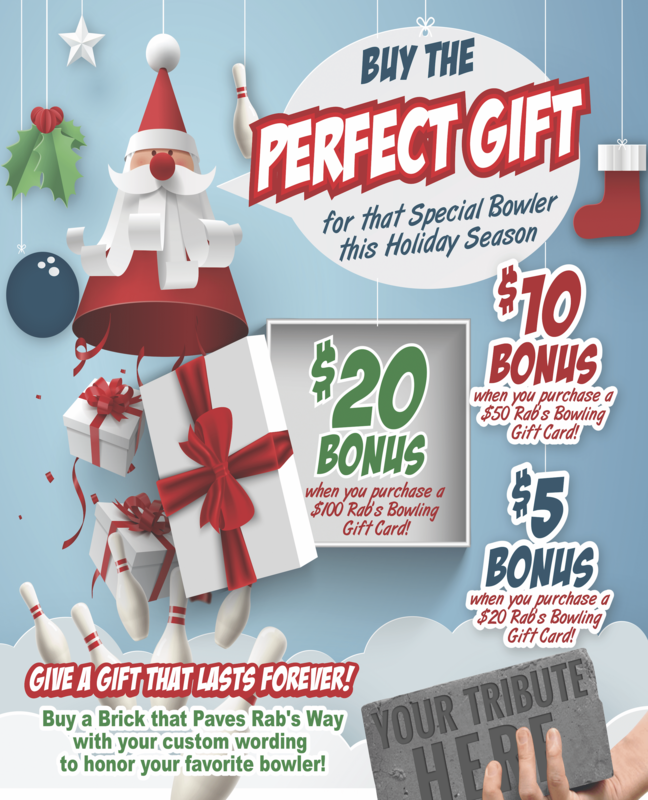 It’s easier than ever to gift an experience your favorite bowler will love. And this month only, we’re offering bonus bucks on all gift cards, so your holiday gift will go even farther. Wrist Brace – Serious bowling can put a strain on a bowler’s joints. That’s why a high-quality bowling wrist brace is important. There are lots of great ones on the market, but if you’re looking for a high-end brace for your loved one then check out the PowrKoil Wrist Positioner XF Right Hand. Apparel – Help your bowler bowl in style with some new bowling apparel like our Limited Edition Rab’s Johnny Cupcakes T-Shirt or our Rab’s Socks by Sock Panda! Cleaning Equipment – A good see saw (like the Brunswick Microfiber See Saw), ball cleaning spray, and a good shoe brush are all essentials. 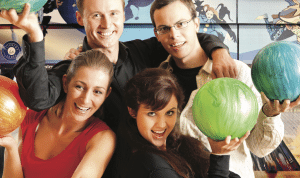 A Night Out at Rab’s – Treat your favorite bowler to a few games, dinner, and drinks. The best gift you can give is quality time with them. We even offer Rab’s County Lanes gift cards to make your holiday shopping easier. However you plan to celebrate, make some time for fun with friends and family this holiday season! Visit us at Rab’s Country Lanes for a little break from the cold and the holiday hustle and bustle.